I have been crafting a bit with Rice Krispies today. I saw these fun Chocolate Dipped Ice Cream Bars on the Rice Krispie website and I wanted to make them. They were fast and fun to make. Who doesn't like Rice Krispies, right? I just made a batch of Rice Krispies -- I have listed the recipe below for your convenience, but do you really need it? Meausre out Rice Krispies and put in large mixing bowl. Melt butter in large sauce pan, then add marshmallows until melted. 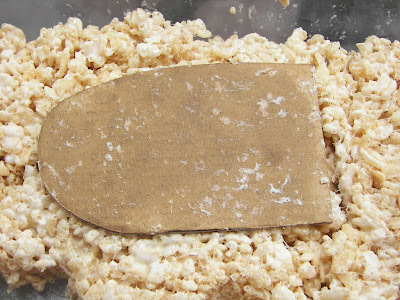 Pour marshallow mixture into Rice Krispies and mix well. Spread into 20x 13-inch baking pan and cool slightly. Note: I used a little less Rice Krispies than normal because I wanted a moister Rice Krispie mixture that would be easier to mold with. The recipe made about 7-8 ice cream bars. I cut out a cardboard ice cream bar form and then used a knife to "cut it out." After I cut out the ice cream bar, I worked with it a little bit to make sure that it looked liked an ice cream bar. I put the cut out ice cream bar on the buttered form to reshape it a little bit. 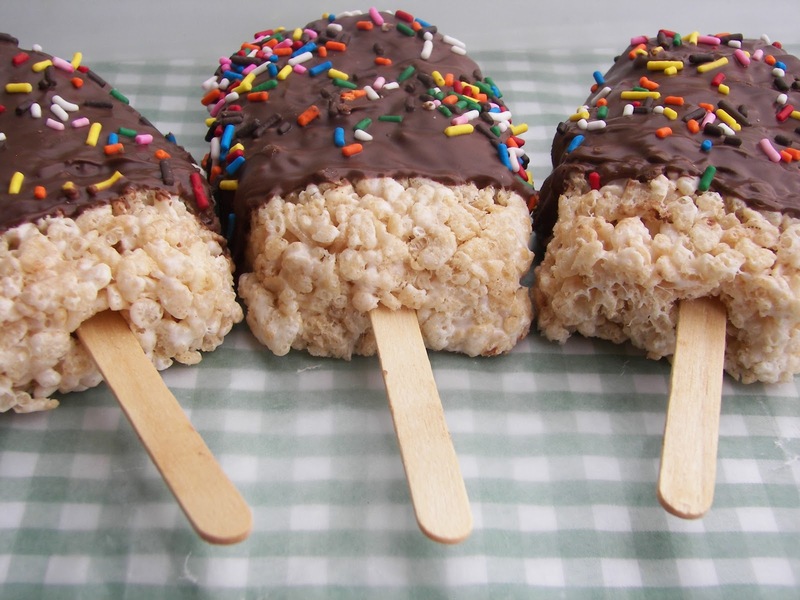 Then stick a craft stick into each ice cream bar. The form has butter on it so it doesn't stick. I spread melted milk choclate on the bar and then while the chocolate was moist I put sprinkles on it. Don't cover the "ice cream" totally with chocolate, allow some ice cream at the bottom to peak through. Wait until dry until eating! 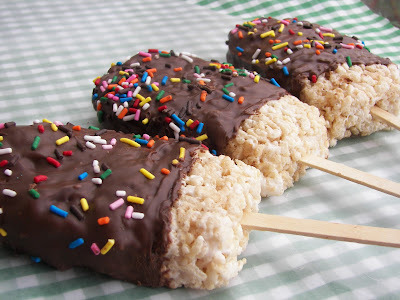 My youngest daughter, Talley, thought that these didn't look like ice cream bars because there were sprinkles on them, but it didn't stop her from eating them. These sweet treats look so good! I have never grown up when it comes to rice krispie treats. And you added chocolate... and a stick... and sprinkles. 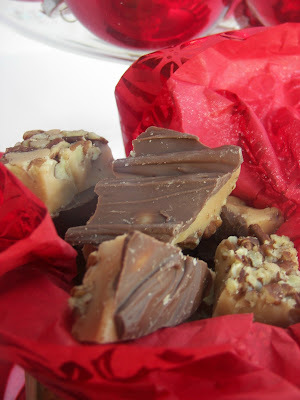 Please send some to me!YUMMY! Love this idea, Joni. Is there anybody who doesn't like this classic treat? I know a couple of grandkids who will be very excited about this. What a great idea! I really like this. 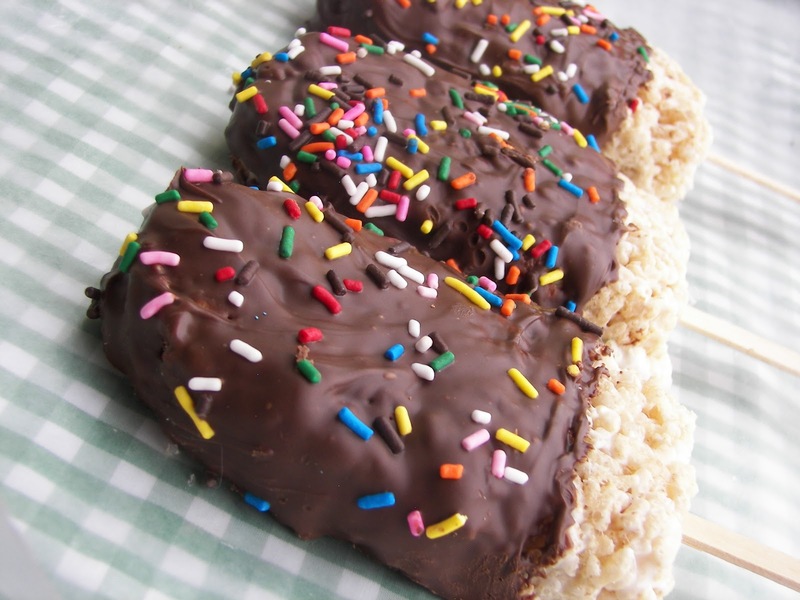 My kids love rice krispies and I bet they would love this idea too. Thanks for posting! 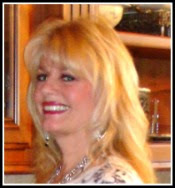 Those look great, Joni! Pretty, creative, and surely delicious. I think they look exactly like an ice cream bar. This is so cute and creative, and they look delicious, too. Well aren't those cute! I'm famous for my Rice Krispie Treats! I use 6 T. of real butter, 80 marshmallows and 11 1/2 cups of cereal to make them thick and slightly sticky. I love the idea of the ice cream bar...so clever! 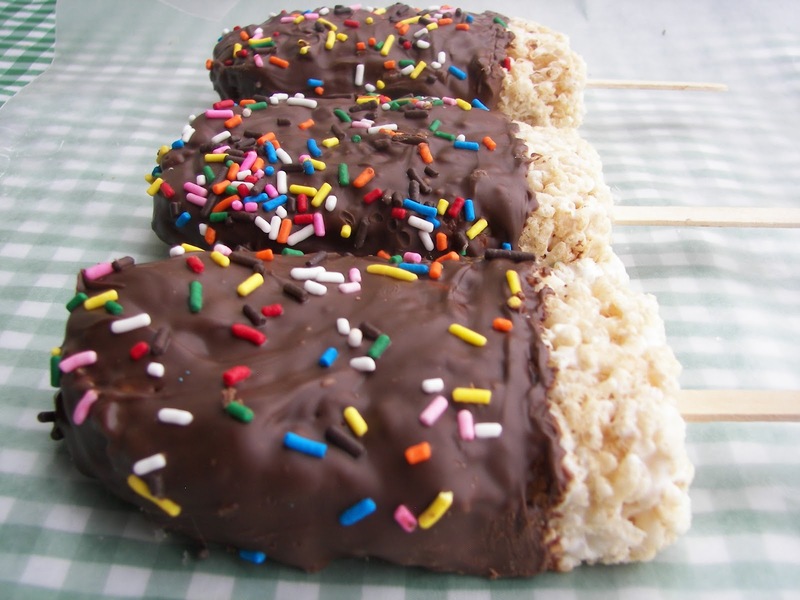 My little secret is that I love rice krispie squares - they are the best! My mouth is already watering. Thanks a ton for sharing the recipe. Take the Ice Cream Personality Test and find out what ice cream flavor are you as per your personality. I have taken the test and have enjoyed a lot. Hope you too will enjoy it. Have Fun!! Almost too pretty to eat (almost)! I love rice krispy treats and add a little chocolate and some pretty sprinkles - these would fly right off the counter. We will have to make these cute pops this summer. You always make such cute treats on a stick - I agree, the stick makes them a lot more fun. No calories here!!!! Ha Ha! But, oh so pretty! Thanks for sharing! Joni, Joni, Joni...what have you done giving us this delicious recipe? We all have to stop what we are doing and make the ice cream bars! You are a bad girl,,,thanks so much for sharing! They look like ice cream bars to me:) So fun and cute! This is a good way to eat rice krispie treats...your fingers don't have to get sticky:) Have a GREAT weekend, Joni!